Annika is a postdoctoral researcher (“assegnista di ricerca”) at the Università degli Studi di Firenze, a postdoctoral fellow and lecturer for strategic management at Goethe-Universität Frankfurt (Germany) and a Visiting Fellow at the Department of Law, European University Institute (Italy). 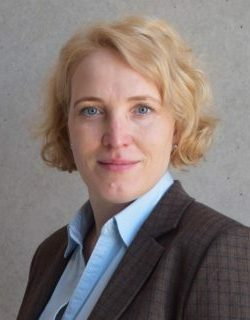 Annika received her Ph.D. in Law from Humboldt-Universität zu Berlin (2014), her MA in International and European Business Studies from the Universität Bamberg (2006) and her LL.M. in Business Law from the German Graduate School of Management and Law (2009). After working for a financial institution in investment banking, restructuring and distressed debt portfolio management in various countries around the world for several years, she was awarded a two-year Max Weber Fellowship at the European University Institute (2013-2015). Her research focuses on international and comparative restructuring and insolvency law, financial regulation and supervision, (behavioral) law and economics, corporate governance and entrepreneurship. She has held a guest professorship at Lanzhou School of Management (China). Annika is a member of the NextGen Program of the International Insolvency Institute (Class II), and an academic member of INSOL Europe and INSOL International.